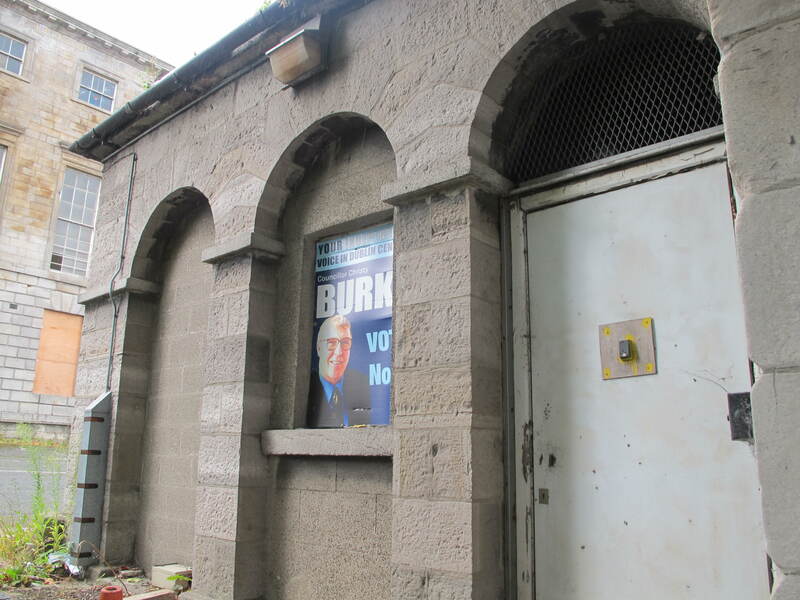 One of the weird things you see when wandering about Dublin is the number of abandoned buildings. In some ways, this isn’t a surprise: Ireland is known for its ghost towns, unwanted hastily-built leftovers of the boom (the NYT has some excellent pics here). What’s pretty shocking, to me, though, are the old, listed buildings that stand unoccupied and on their way to ruin. Yesterday I walked along the quays past the Ormond Hotel, stopping to wonder at its cracking exterior, only to spot a little circular sign saying that it was a tourist attraction — the setting for the Sirens episode in Joyce’s Ulysses. 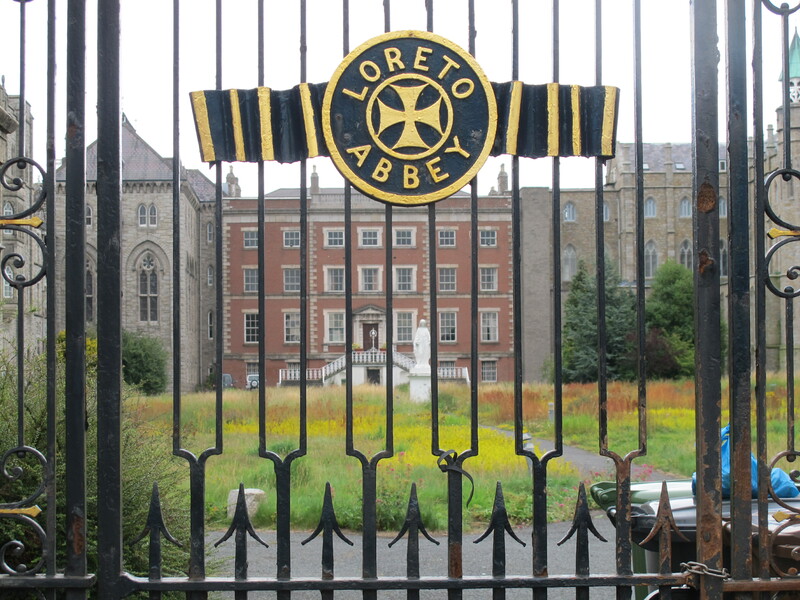 Another surprise is Loreto Abbey. 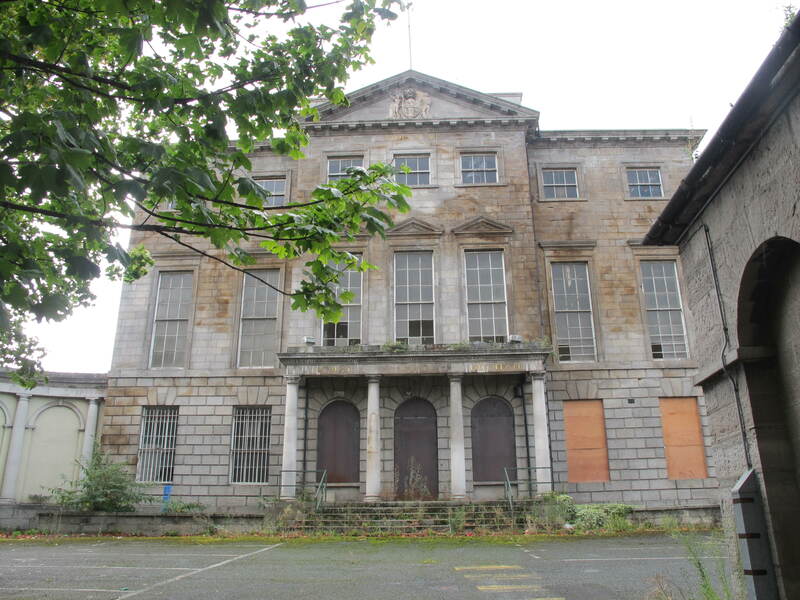 When I was growing up it was an exclusive Catholic girls’ boarding school, but now it is is a forlorn husk, sitting grandly and emptily behind bars in Rathfarnham. A friend, who knows the guy managing it, yesterday told me that the interior — which is incredibly beautiful, if these pictures are anything to go by — is starting to crumble because of neglect. The Abbey was designed by Sir Edward Lovett Pearce and built for the British Member of Parliament, William Palliser, in 1725. It was later inherited by a Rev. John Pallister, and subsequently bought by George Grierson III, the King’s Printer. 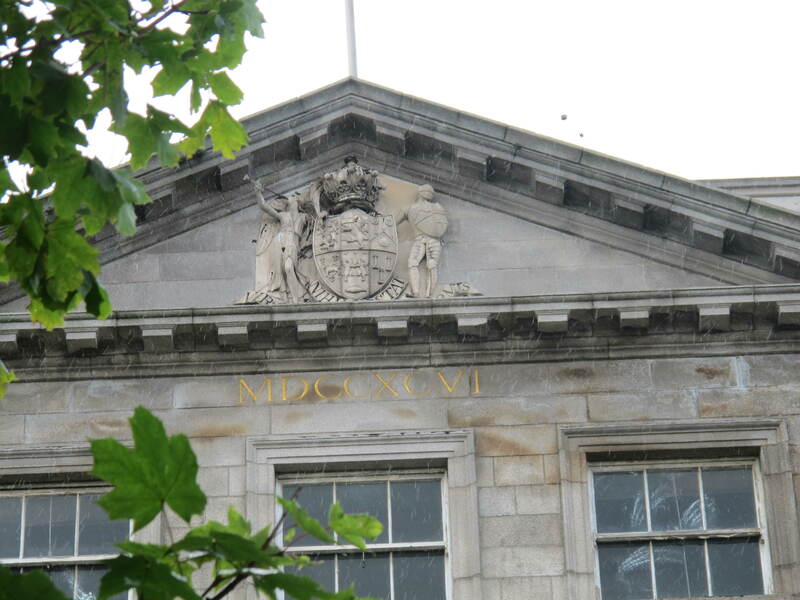 In 1821 it came into Catholic ownership, when Archbishop Murray of Dublin purchased it for £2,400, and in 1822 a community of nuns made it their home. That year a boarding school was established. The boarding school continued for years, until quite recently (Mother Teresa seems to have studied there); now only the day school survives, in a different building close by the original Abbey. The Abbey closed in 1999. By 2000, as the property market began to rev up, a firm called Riverside Limited was putting in an application for “A mixed use development to include the retention of Protected Structures. The proposal includes the construction of 317 no. apartments comprising: 270 no. two bedroom apartments; 29 no. one bedroom apartments and 18 no. two bedroom penthouse apartments.” Some of those apartments were indeed built, and some are now occupied (I think they’re behind the Abbey itself — not visible to me from the main road). 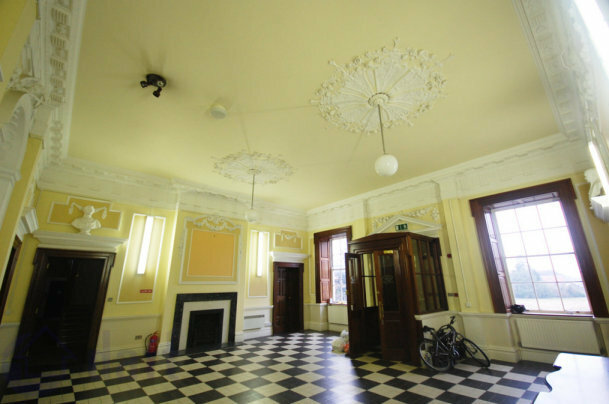 I confess that I don’t know what exactly went wrong, and why this gorgeous structure ended up in the so-called Bad Bank of undesirable assets (NAMA); but according to the property website, daft.ie, the building is on the market for “€4,500,000 or €250,000 yearly”. Given that during the boom people were forced to splurge sums of half a million euros or more for two-bed shacks miles from Dublin, that seems to me to be not a lot. The biggest pity, though, is that since nobody has the funds to purchase it, the government, or local bodies or individuals are not availing themselves of the space, even for artistic or community purposes. Meanwhile, according to the person I know, the fixtures, stain-glass windows and such, are falling prey to decay and rot. I took the top and bottom pictures myself earlier this summer, fascinated by such a flagrant display of irresponsibility — a public testament to a nation’s carelessness towards history (I know times are tight — but still). 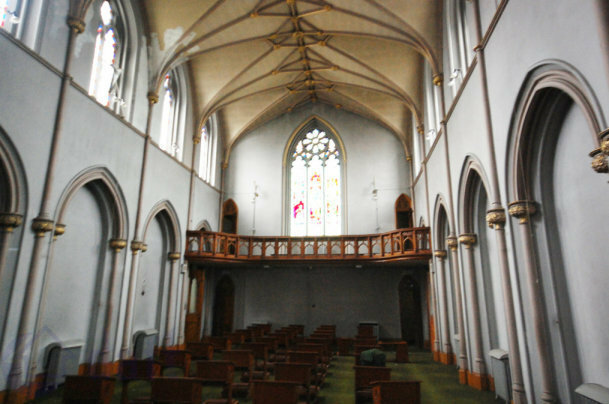 The other photos are from the property website Daft.ie, showing the ornate interior of the Abbey. 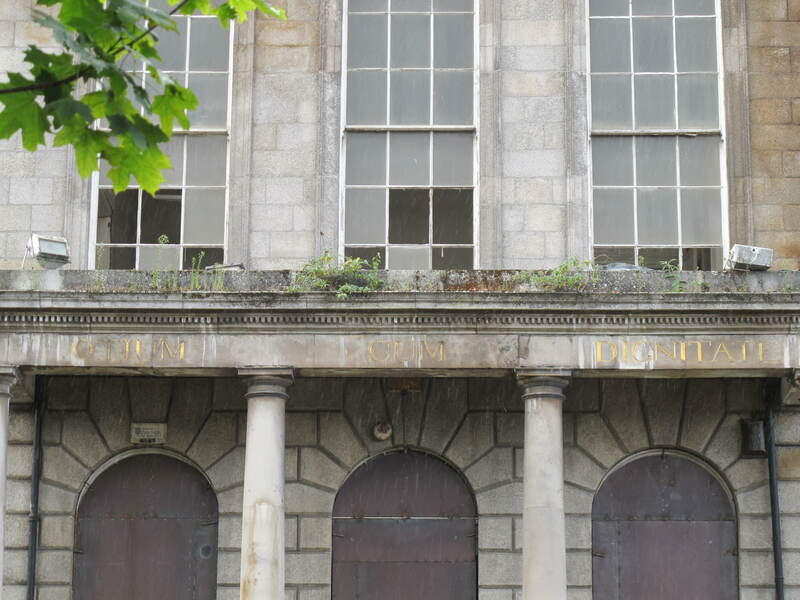 Update: Before I left Dublin I photographed another derelict mansion, Aldborough House on Portland Row. Scroll down (below the Abbey) to see those images. 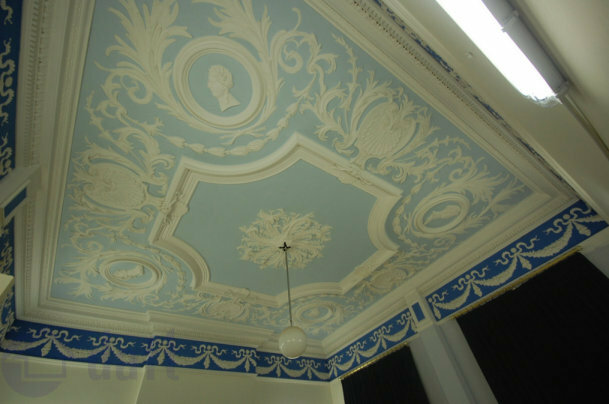 There is a very good discussion of its history on this architectural forum, where one extremely learned contributor has written an essay and added pics of the interior. Aldborough, from the road. You can see the broken windows from there. That is terrible. 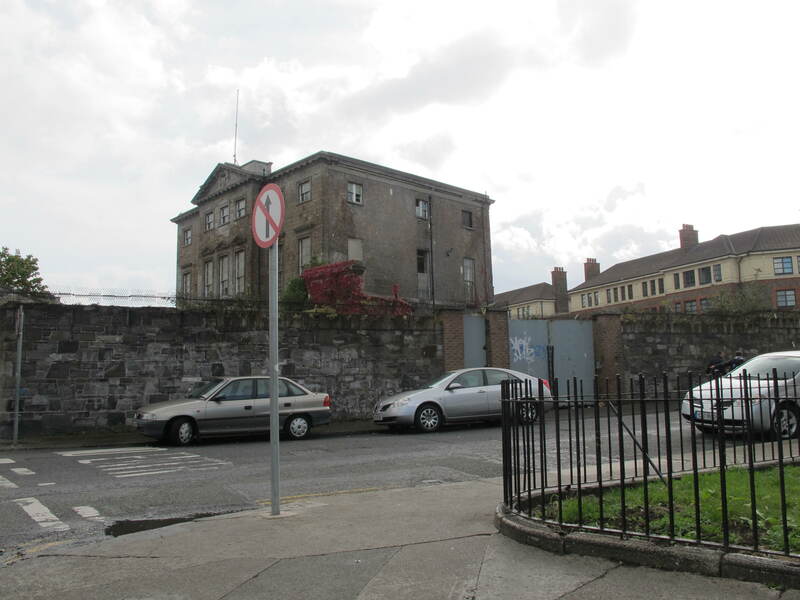 I suspect there are laws preventing the developers from demolishing them, but they’re too expensive for most buyers – so whoever owns them is waiting for them to fall derelict so they can bulldoze them. I wonder what An Taisce or similar would have to say about the matter – probably quote (genuine) lack of funds. Sad. Lovely to hear from you, QoP! Apparently what happens is that a lot of these buildings burn down in mysterious fires that occur over the weekends. The sites can then be developed. I spoke to someone at the Dublin Civil Trust who told me that this has already happened a number of times. That makes the situation seem even worse.